We did it. We took the plunge. 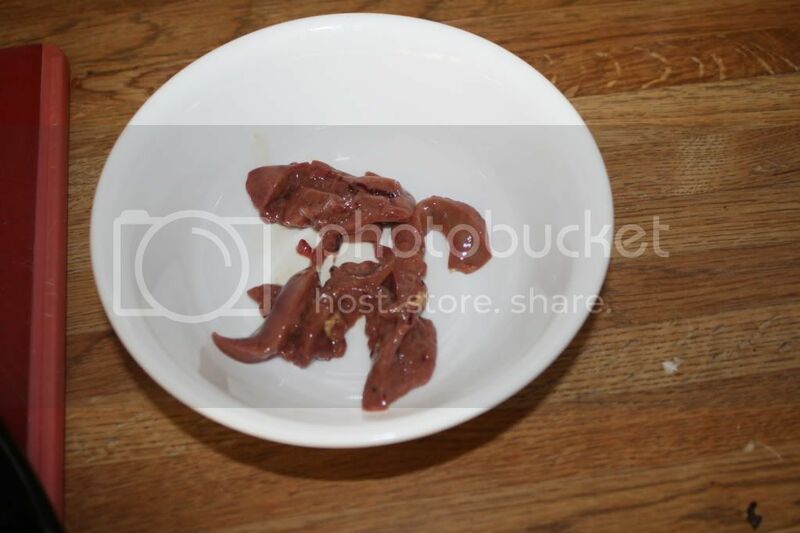 I cooked liver for dinner. b) I haven’t made liver before last night. In the interest of full disclousure, I HAVE cooked liver before. 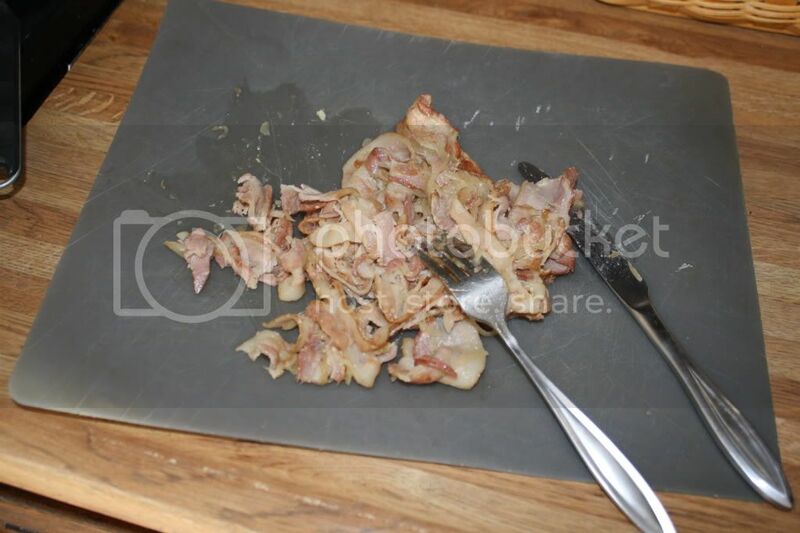 Let me rephrase… I ATTEMPTED to cook liver before. It was a gross mess. We couldn’t even finish the meal. Luckily, this time was different. This time was DELICIOUS! I started out with bacon. LOTS of bacon. A whole PACKAGE of bacon. 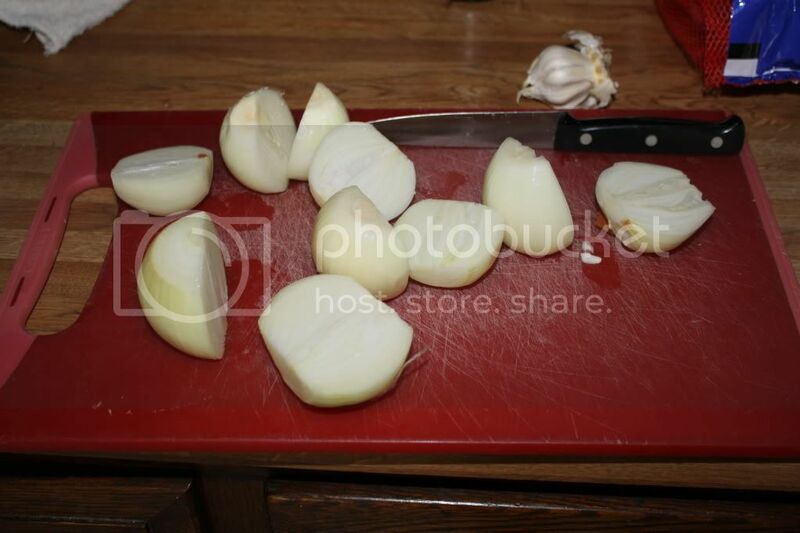 While that cooked, I grabbed some onions. They were in our awesome new onion-holder-thingie. We bought it while we were on vacation, and John stained and finished it. Go John! I peeled 6 medium-sized onions and sliced them in the food processor. 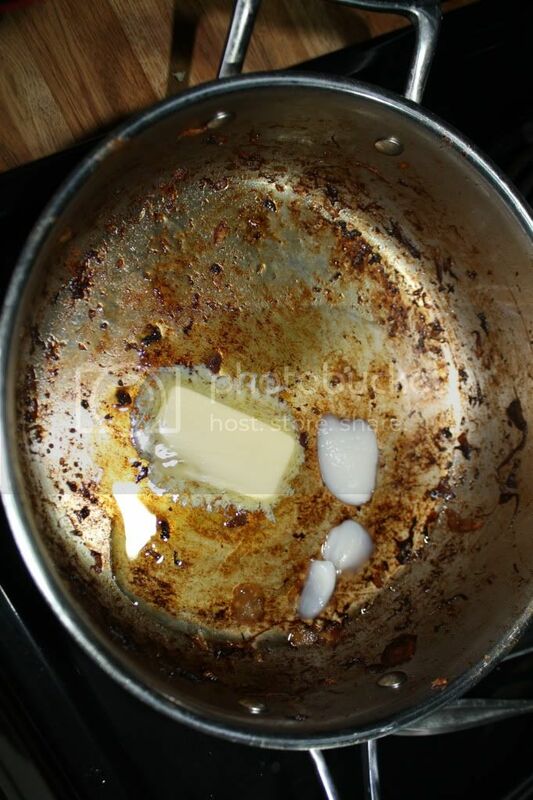 By that time, there was quite a bit of bacon grease in the pan. I poured most of it out and reserved it for later. 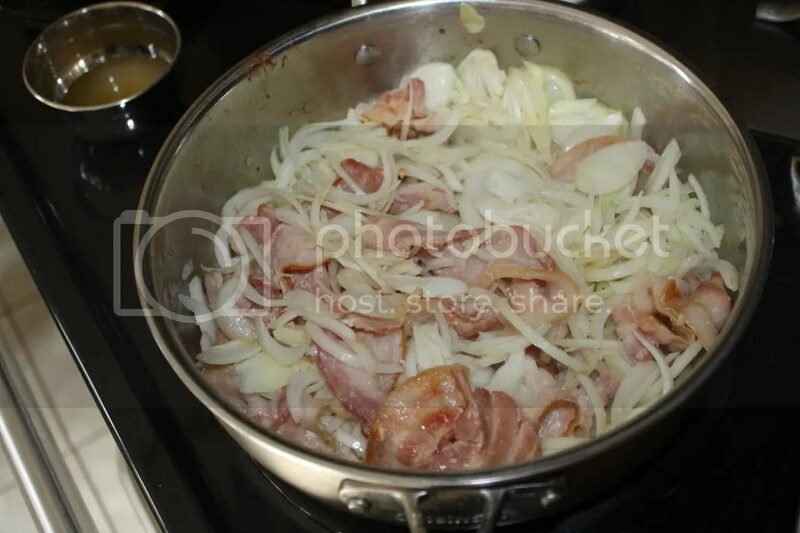 The onions went into the pan with the semi-cooked bacon and some butter. 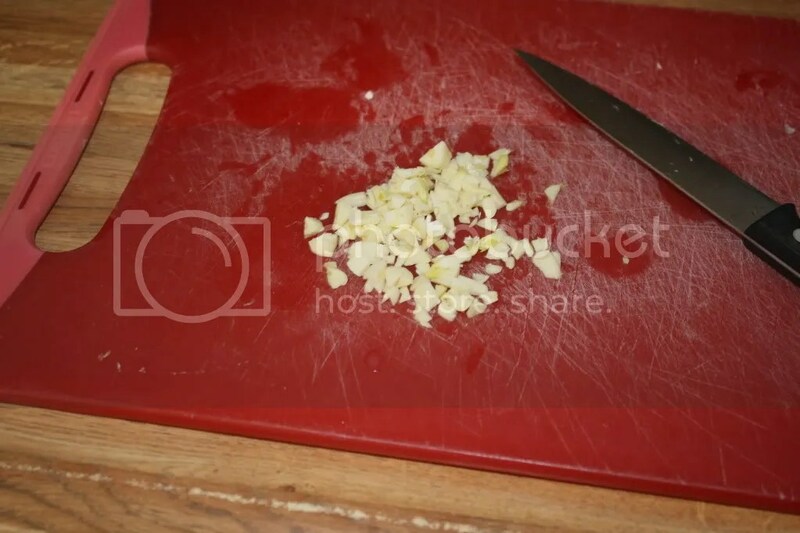 While THAT cooked, I chopped up some garlic and threw it in. All those ingredients cooked up a storm. In the meantime, I sliced up the chicken livers reallllllllyyyyy thinly. 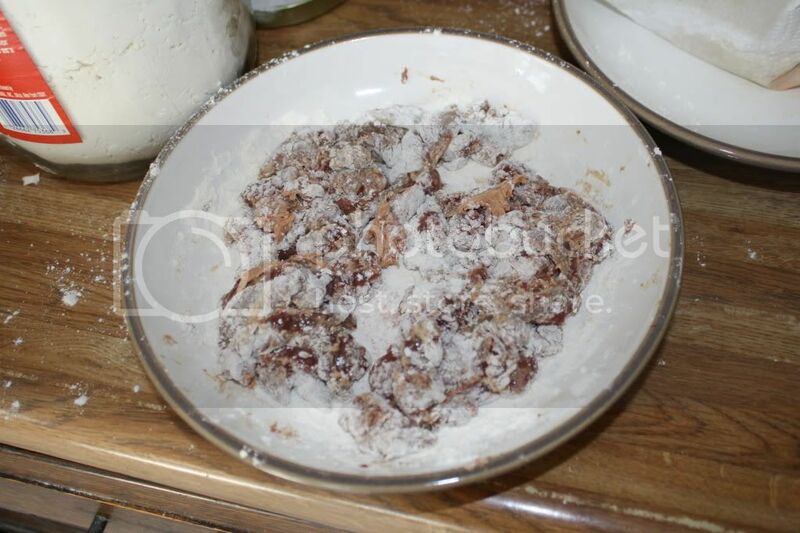 Once I had a bowlful, I covered them in water and added some lemon juice. I read in a few places that doing that helps mellow the liver-ey taste (as opposed to the livery taste, which is something else entirely). 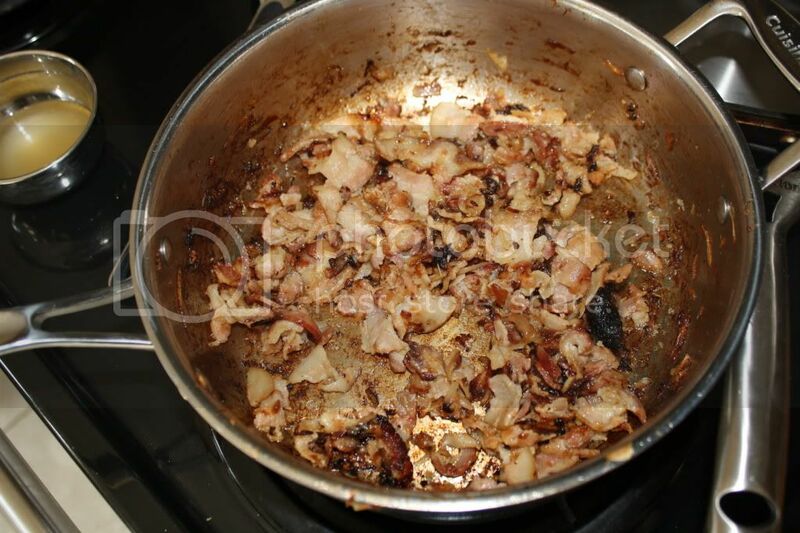 As that soaked, I removed the onions from the pan and chopped the bacon into small pieces. 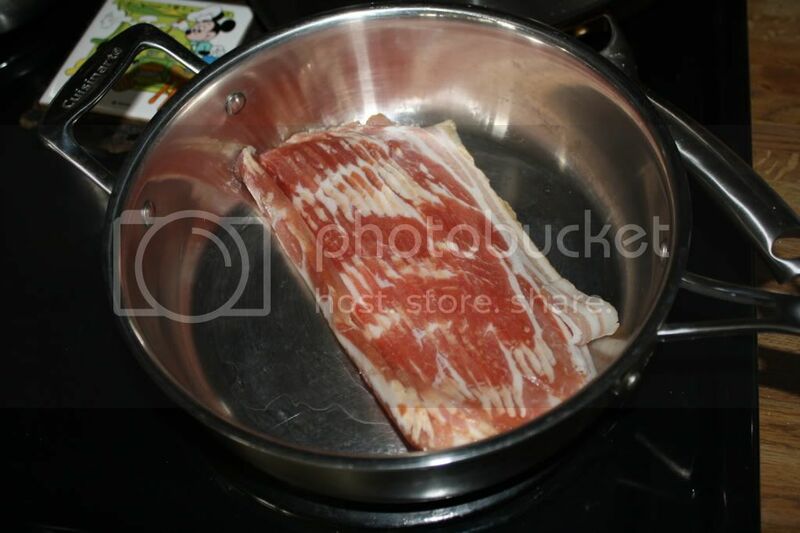 The bacon went back in until it was crispayyy. By this time, the liver had soaked for a while. I drained it, dried it off, and coated it with flour. The bacon grease and some butter went into the pan to melt. That delicious-ness was the perfect medium for cooking the liver! The liver only cooked for a few minutes. When it was nearly done, I added back in the bacon, onions, and garlic. They hung out all together juuuuust long enough to cook through. 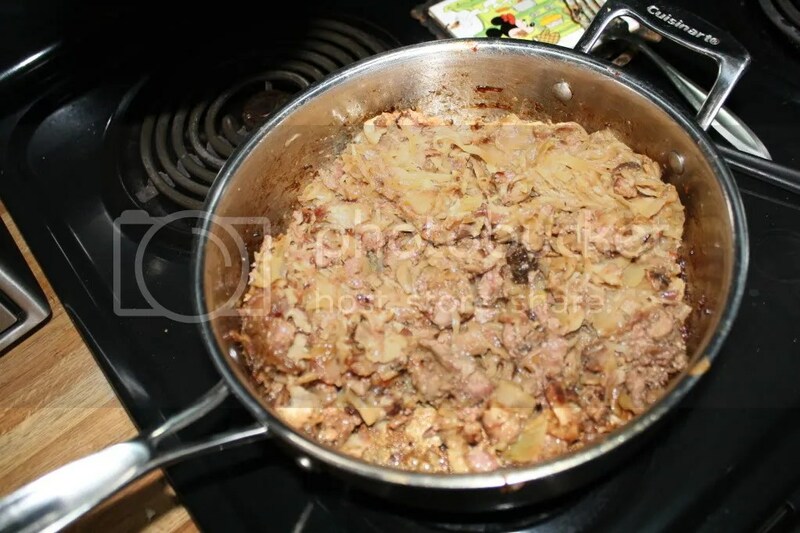 While all this was going on, John cooked up some elbow macaroni to serve it over. It. Was. Delicious. I didn’t expect it to be as good as it was. The little liver pieces blended in to the bacon-y goodness. It is a great way to ease into liver. John really liked it, too! This post was shared on Real Food Wednesday with Kelly the Kitchen Kop, The Hearth and Soul Bloghop, Miz Helen’s Full Plate Thursday, Fight Back Friday with Food Renegade, and Simple Lives Thursday at GNOWFGLINS! 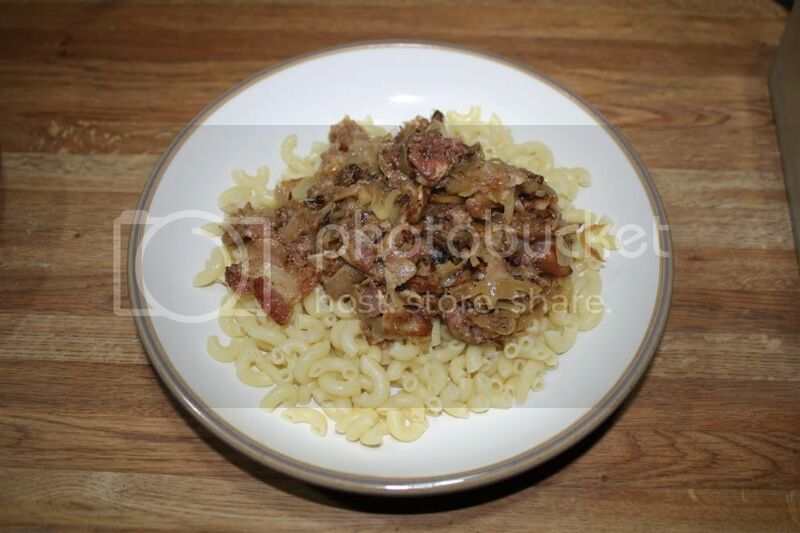 Categories: macaroni, meat, organ meat | Permalink. I heart liver!! Looks like a comforting, delicious dinner. 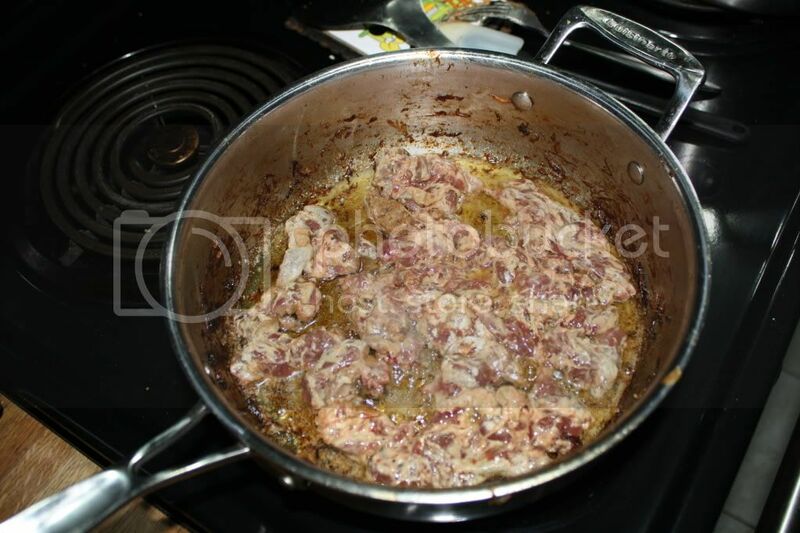 It is the bacon and onion that make this liver a healthy and tasty dish for us. It is the only way to fix it! Thank you so much for sharing with Full Plate Thursday and hope to see you next week! I've never seen liver cooked like that before. In my (limited) experience, before doing anything else, it's always rinsed and broiled or roasted over an open flame first to drain the blood (part of the traditional koshering process). I don't keep kosher, but I still prepare liver that way before cooking it with anything else. Do you think it changes the flavour? It must taste amazing with the bacon. Must try that. This looks so good. I am getting a bunch more beef liver when our cow is delivered in a couple of weeks. I am definitely going to try some of it this way! What I really really like though, is the onion house. I want one! 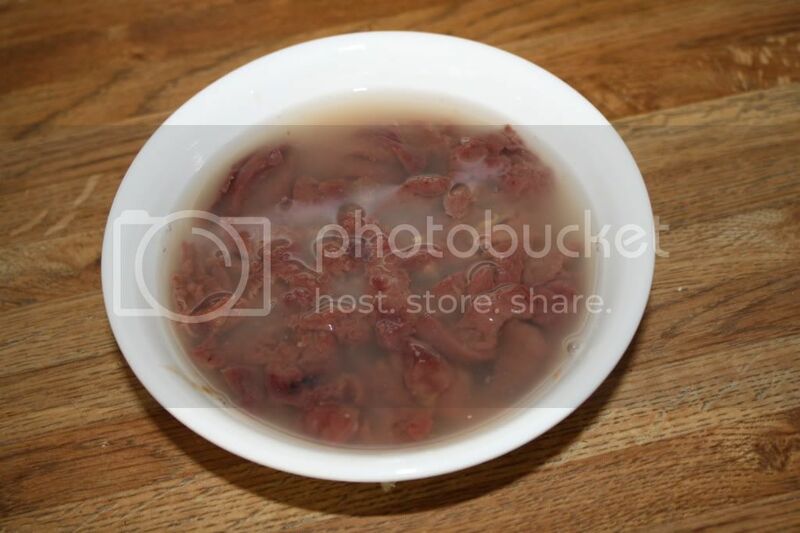 I have never been brave enough to cook liver before, but your method of cooking it looks delicious. 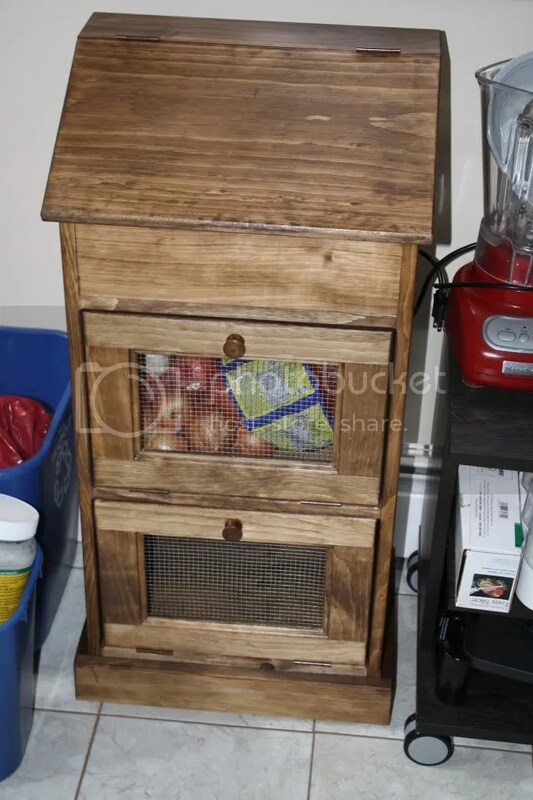 I love your onion keeper thingie too! Thank you for sharing your successful (and delicious!) 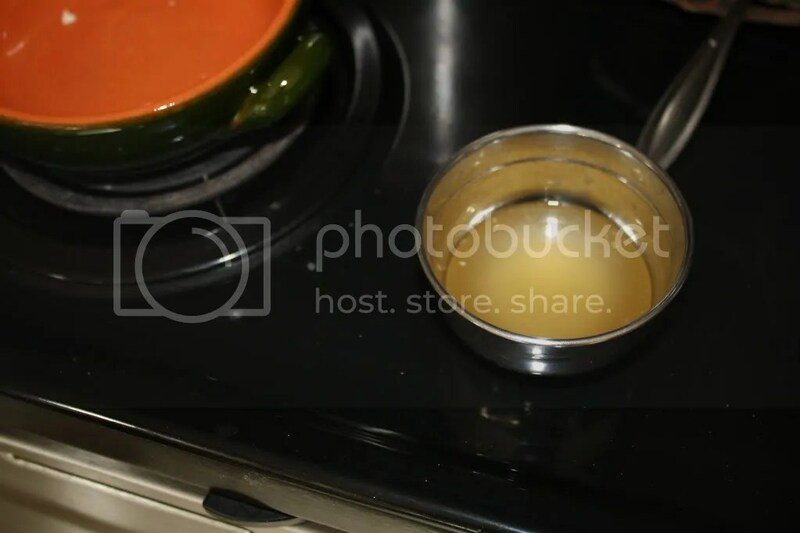 experience cooking liver with the Hearth and Soul blog hop. am a blogger, and I was wanting to know your situation; many of us have developed some nice methods and we are looking to trade methods with other folks, be sure to shoot me an email if interested.